The CW's DC Comics shared universe first began with Arrow and grew to include the first spinoff, The Flash, as well as the most recent offshoot, Legends of Tomorrow. Earlier this year, the network proved to have confidence in its superhero slate - and the rest of their scripted primetime dramas - and granted each show another season. Additionally, The CW doubled down on DC Comics series from producer Greg Berlanti, adding Supergirl season 2 to the network's lineup after the Girl of Steel's first season aired on CBS (which co-owns The CW along with Warner Bros. TV). Recently, The Flash wrapped up its second season, which saw Barry Allen (Grant Gustin) battle against the Earth-2 villain Zoom (Teddy Sears) with the help of the STAR Labs team. However, the final moments of The Flash finale, in which Barry decides to go back in time and save his mother, have left viewers with many questions concerning how - and when - season 3 will pick back up. For now, we know at least one character will be there when Barry returns to the present. 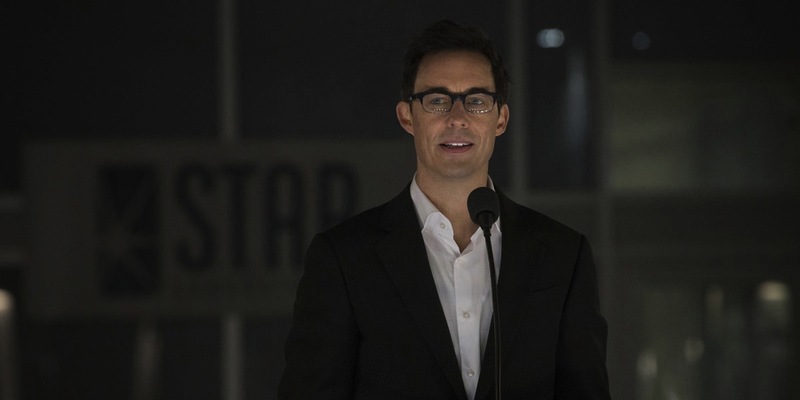 When The Flash first began, Cavanagh played what appeared to be Earth-1 Harrison Wells, though he was later revealed to be the future's Eobard Thawne who had taken on the persona of Wells. When season 2 introduced the concept of the multiverse and the Earth-2 doppelgangers, Cavanagh returned as Earth-2 Harrison Wells, who was largely motivated by his love for his daughter, Jesse (Violett Beane). However, it seemed Harry was off the STAR Labs team for good since The Flash season 2 finale saw him and Jesse return to Earth-2 with help from Earth-3 Jay Garrick (John Wesley Shipp). Of course, given the ending of the season 2 finale - and the very real possibility that The Flash will be following the Flashpoint comic book arc in season 3 - there seems to be one obvious way for Cavanagh to return. Since Barry prevented Eobard Thawne from murdering his mother, and therefore stopped the events that led Thawne to kill the original Earth-1 Wells, it seems likely that version of the character will appear in season 3. Cavanagh portraying the original Wells would provide fans with a more comprehensive look at this particular character, who has so far only appeared in flashbacks in season 1. Still, it remains unclear how exactly Barry's act of saving his mother will affect the timeline of The Flash, or how the series will address the impact on the entire world - including the other series in the shared universe, Arrow and Legends of Tomorrow. Furthermore, with the inclusion of Earth-3 and Supergirl's world within the multiverse on The Flash, there are any number of ways Cavanagh could return, it simply remains to be seen what character the actor will portray when season 3 kicks off later this year.